Hi everyone! I haven't done a 'Makeup Basics' post in a while, so I thought I'd do one today. This post is for those of you who are on a budget, and who just want the bare minimum of brushes to do your makeup with. A foundation brush is one of the most basic brushes you'll need. According to your makeup style, you could even omit the foundation brush. For example, if you have good skin and don't need too much coverage, or if you like the sheer, natural foundation look, then you can apply your foundation with your hands, or a makeup sponge. The same goes if you have good enough skin to only use a tinted moisturizer. Foundation brushes are only for people who need more coverage and want a thicker layer of foundation on your skin. 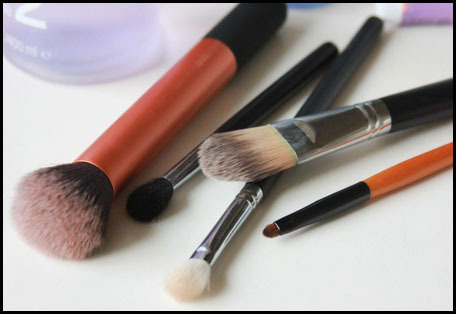 There are also different kinds of foundation brushes to consider - there is the typical foundation brush, as shown above. Then there is also the kabuki brush, and the stippling brush. Personally, I like to use the stippling brush to apply my foundation. However, if you want something that will save you on those bad skin days, skip the stippling brush and get a normal foundation brush. On those better days, you can apply your foundation with your hands. I like the buffing brush because this brush is very much a multi-tasker. I can use it to buff in my foundation, I use it for mineral powder foundation, and I also use it for blush and contouring. This packs the pigments on pretty densely, though, so especially with blush, remember to tap the brush onto the back of your hand to take off some of the product before applying it to your face. 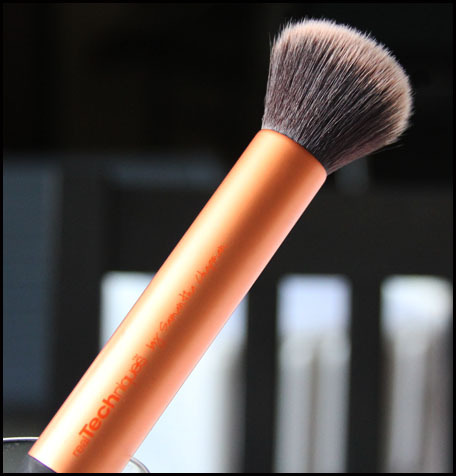 This Real Techniques brush is a great buffing brush, because it has synthetic bristles, and can therefore be used on products of different textures, from creams to powders. 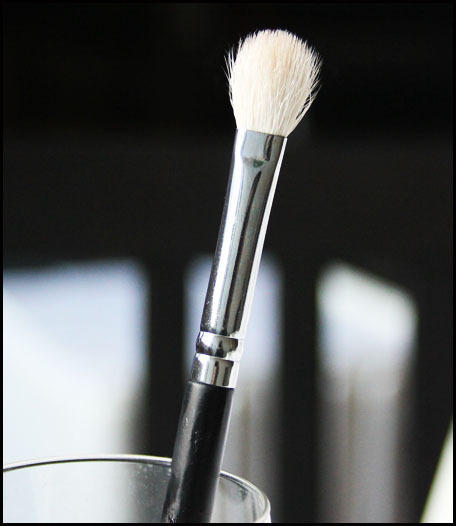 It is all about the multi-tasking with the brushes in this post, and this blending brush is no different! 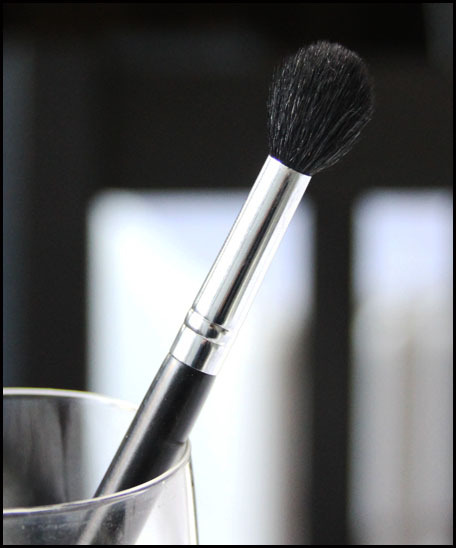 This is a Sigma E40 brush, the equivalent of the #224 MAC blending brush, and it is great for contouring, blending of the eyeshadow, and buffing concealer onto your skin. I use it to contour the bridge of my nose (when I can be bothered), to brush bronzer into my crease to pull together an eyeshadow look and give my eyes some dimension, and to buff concealer onto my skin. It works especially well with concealer on the under eye area. LOVE this brush! 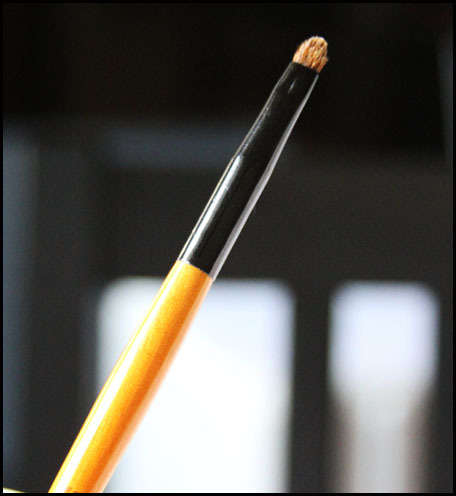 Eyeliner brushes are only necessary if you use cake, gel or cream eyeliner. What eyeliner brush you use is completely up to you. There are fine eyeliner brushes like the Louise Young LY24, the Sigma E10 or the MAC #210. There are also angled eyeliner brushes like the Sigma E65. The one I am using is from Skin Food, and has served me well for a good 6 years and counting. I love this brush because it is really easy to control, so I never get a crooked line, and it gives me a thick line a lot quicker than fine liners can give me, which I love because fine lines don't show on my eyes. This is my all-time favourite blending brush. 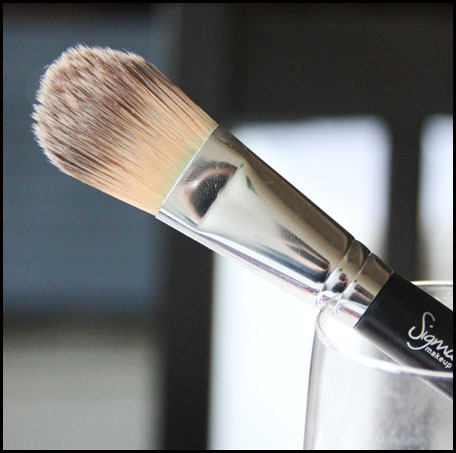 It is the Sigma E25, which is the equivalent of the MAC #217 brush. This brush is brilliant for blending eyeshadows. It blends all eyeshadows into a nice soft wash, getting rid of harsh lines and blending colours seamlessly together. This is the brush to have for creating all kinds of different eye looks. I cannot recommend this enough!